But for applications where performance is a key factor, the DOM-manipulation has been a bottleneck as it requires traversing the entire document (web page) in order to change/update a part of the view. Another bottleneck is the actual refresh of the page, which requires the assets to be loaded along with the actual content of the page. One of the ways to handle this is through Single Page Applications (SPA's). 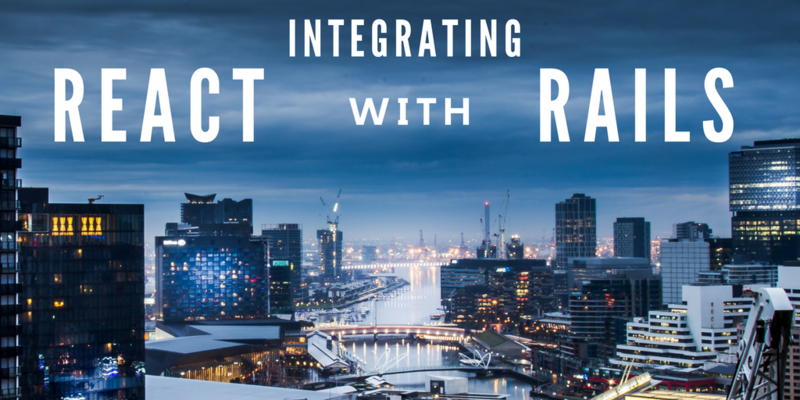 In this blog, we will see some of the ways in which we can integrate React with Ruby on Rails. I find react-rails gem is by far the simplest way to get started with React and JSX in a rails application. It uses Ruby on Rails asset pipeline to automatically transform JSX into Ruby on Rails compatible assets using the Ruby Babel Transpiler. For advanced use cases, one could integrate react-rails gem with webpacker gem to integrate webpack with Rails using ReactRailsUJS. Let's see how to integrate this with an existing Ruby on Rails application. Assuming you have a Ruby on Rails application. We can start by adding the gem to our dependencies. This component can be invoked from any of the views, like so. The helper react_component identifies the actual component by the name of the component GreetUser and accepts props as the second argument. That is all that it takes to integrate React with Ruby on Rails using the react-rails gem. It also allows high customization, ES6 components, and server rendering to name a few. All of which are explained in detail in the official documentaion. 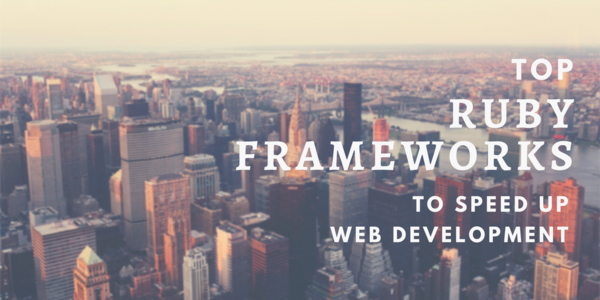 Since we have the power of webpack, we could configure it as per our needs but the drawback is that one needs to install tools like npm and understand how webpack works. Install instructions for NodeJS can be found on NodeJS website. Once node and npm have been installed we can start by adding the gem to our Gemfile. git commit -am "Adding react_on_rails gem"
We can now run the generator to install and setup the folder structures. 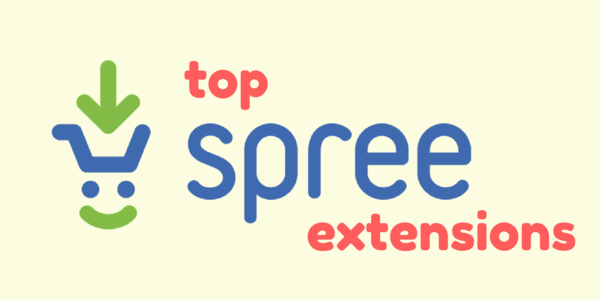 Then run bundle again for installing execjs and npm dependencies. We can now start our rails server using foreman. 3. Ruby on Rails API with ReactJS Front-End. The other option that is available to use ReactJs with Ruby on Rails is to use Ruby on Rails as an API only application and use React as a standalone application which talks to the Rails API. Developing and Maintaining such a stack which separates out the backend application for the front-end might look daunting, but such a stack does have its advantages. Allows ability to bring in other clients such as a mobile application, which also talks to the same Rails API that is responsible for serving data to the Web interface. Easier to scale, assuming we are looking at the Rails API to be communicating over JSON we will not have the concept of sharing state across the many server instances that we might have. Have a Ruby Application which needs to be maintained? Ruby-Hyperloop allows you to create React components using Ruby code. Thus allowing Ruby developers to be more productive and make development a lot faster. The advantage this gem brings to the table is that almost almost all React components are is done using Ruby code, from the creation of a component to Routing and even Testing (using rspec). This makes not only the backend but also the front-end the same technology stack. 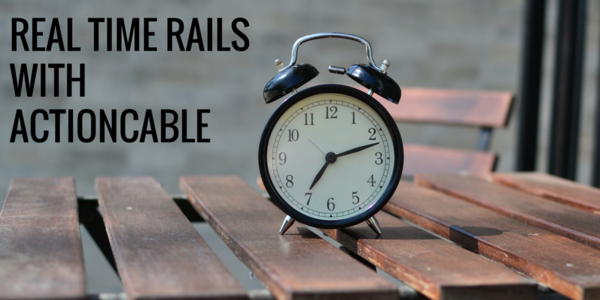 The Gem has been tested for versions of Rails (~> 4.2), Rails (~> 5.0) and the last Rails (5.1.0). Add hyperloop to the Gemfile. Once the gem is added. Let us now install it with. Starting Rails server with rails s and visiting http://localhost:3000/helloword will show us the generated component. For further reference on hyperloop I highly recommend going through the Ruby-hyperloop website, which has a detailed documentation on creating components, routes and managing state in the application. Hope this blog was of help in understanding how to integrate React and Ruby on Rails. 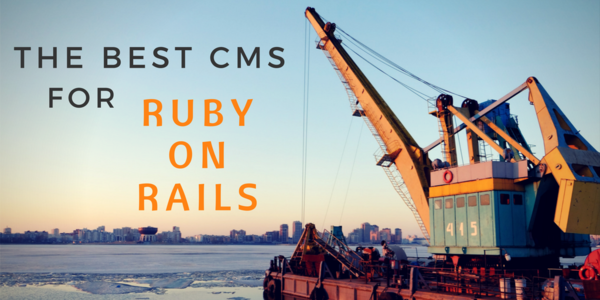 Though there are many other ways in which React JS could be integrated with Ruby on Rails, I have shared only a few that I have found not only easy to get started with but also which has a good backing from the community.